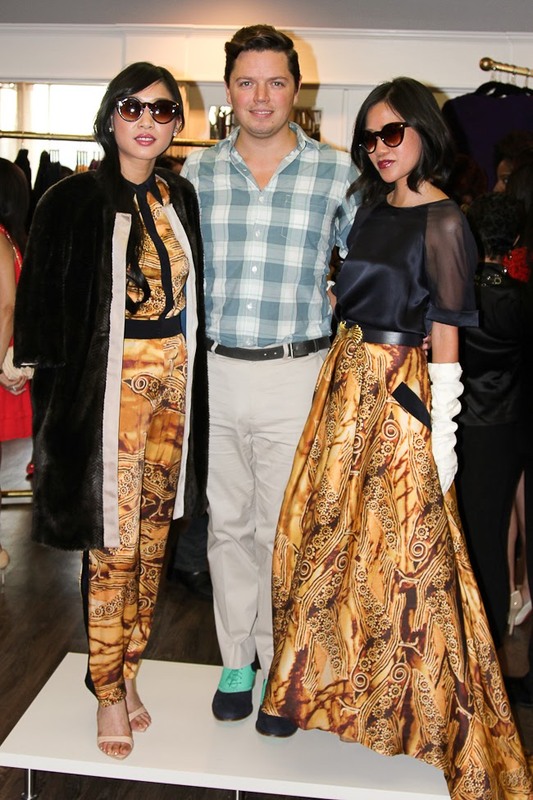 Mandy Kao Foundation, PAIR Houston, and David Peck. oh my! Last Tuesday i had helped coordinate a fundraiser/birthday party for one of my dear friends, Mandy from the Mandy Kao Foundation and Nihala - held at local designer David Peck's studio whom also manufactures his designs and others in-house. Amazing! He also donated 20% of the sales of the night to the Mandy Kao Foundation which in turn would be going to PAIR Houston an organized focused on helping integrate refugees into the community. So it was a fun night of shopping for a cause, while guests were also treated to a fall fashion preview of David's f/w collection, modeled by some of our fave local bloggers (Bethany, Moni, Mishelle, Monica, Magen) and of course me and Fifi joined in the fun - many thanks also goes out to the Dior staff from Dillards First Colony who provided not only make-up, but goodies for everyone as well. how gorgeous is that big skirt i'm wearing? eh??? I just love the print , n u look absolutely gorgeous ! P.s -I have a crush on that skirt ! What an awesome event for a good cause. Everyone looks truly stunning. I agree your maxi skirt is truly marvelous. What a gorgeous event!!!! I love that maxiskirt! Amazing event!! Love these pics!! 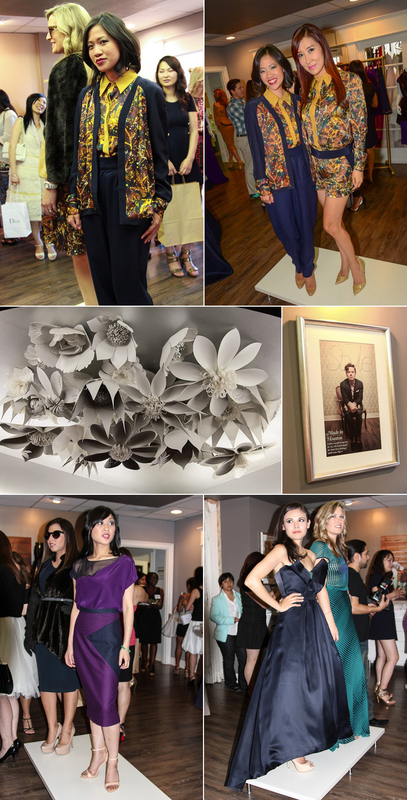 What a fantastic event and fabulous fashions! It's always great when you can celebrate and benefit a good cause at the same time. Wow, so many good-looking ladies at this event!